LONDON: Malala Yousafzai, the teenage girl shot by the Taliban for promoting girls’ education, will make her first public speech on her 16th birthday in New York, the office of Britain’s former prime minister Gordon Brown says. Mr Brown, in his capacity as the UN Special Envoy for Global Education, said she would speak at the United Nations on July 12. Malala was shot at point-blank range by a Taliban gunman as her school bus travelled through Pakistan’s Swat Valley on October 9 last year. She was flown to Britain for surgery on her head injuries and, once she had recovered sufficiently, returned to school in Birmingham, central England, last month. 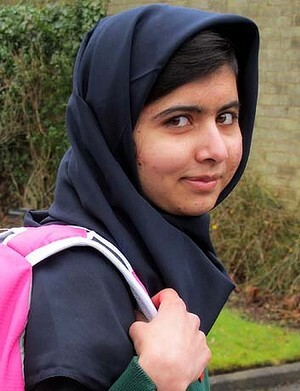 ”Malala is a true inspiration and a shining beacon for girls’ education around the world,” Mr Brown said. Malala has become a global symbol of the campaign for girls’ right to an education and has been nominated for this year’s Nobel peace prize. This week she was named by Time magazine on its annual list of the 100 most influential people in the world. About 4000 young people are expected to attend her debut speech. Her self-penned story is due out later this year in a deal reportedly worth about $US3 million ($2.9 million).